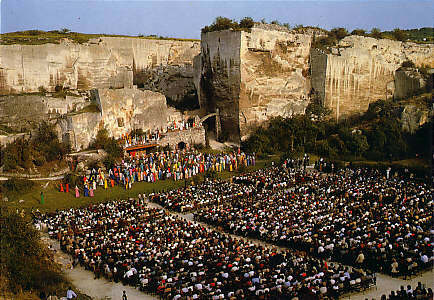 Set in an ancient quarry. 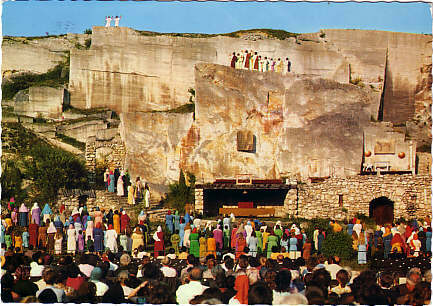 Since its opening in 1961, used every 5 years for "Passionsfestspiele", i. e. open-air performances of the Passion of Christ. Since 1996 also used for the "Opernfestspiele" summer opera festival (held annually except of "Passionsfestspiele" years). 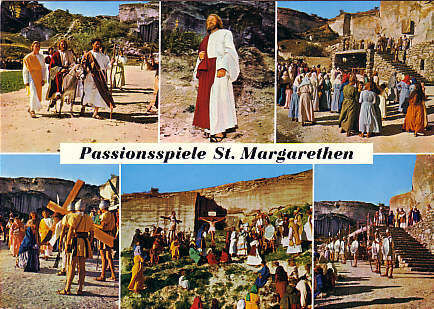 Front Text: "Passionsspiele St. Margarethen"
Reverse Text: "Römersteinbruch St. Margarethen - Burgenland - Österreich"
Reverse Text: "St. Margarethen - Passionsspiel im Römersteinbruch - Burgenland - Österreich"